It’s been awhile since I’ve used my crockpot and today I dusted it off to put it to good use. Today’s crockpot contents is Maple & Brown Sugar Pork Tenderloin. This was extremely easy to prepare and the best part is that crockpot cooking allows me to focus on other things rather than being in the kitchen the whole time. Wash and trim the pork and pat dry; sprinkle lightly with salt and pepper. Place pork in the slow cooker. Combine garlic, mustard, honey, brown sugar, vinegar, and thyme; pour over the pork. Turn pork to coat thoroughly. Cover and cook on LOW for 7 to 9 hours, or on HIGH for 3 1/2 to 4 1/2 hours. Cook on low for 4-6 hours and switch to warm when serving. In a pan, saute garlic and onion. Add & brown the beef & sausage. Add browned meats to crockpot. Add remaining ingredients to crockpot. Use sauce in lasagnas or your fave pasta dish. Tonight I tossed it with cooked macaroni and added grated parmesan cheese for a filling meal. As I was watching Food Network this morning, Tyler Florence inspired me to make a pot roast. Rather than a traditional recipe, I concocted one using some random items in my pantry. As a result, our dinner was a springtime pot roast. 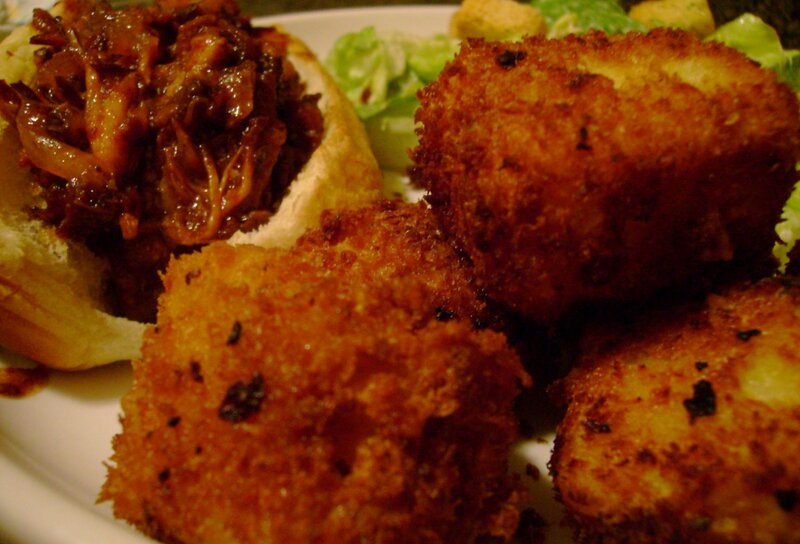 It involves using vidalia onion dressing for sweetness and vegetable soup mix for additional light flavor. Pot roast is a braised beef dish usually with a chuck steak, blade steak or a 7-bone pot roast. Pot roast is typically made by browning a roast-sized piece of beef then slow-cooking in an acidulated liquid in a covered dish. 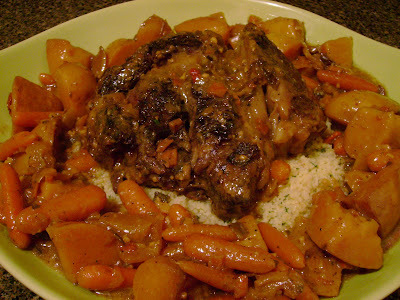 Because inexpensive cuts of meat are commonly used, the meat becomes very tender after braising. As with all braises, the slow cooking tenderizes the tough meat, while the liquid exchanges its flavor with that of the beef. The result of a good pot roast should be tender, succulent meat and a rich liquid that lends itself to gravy. 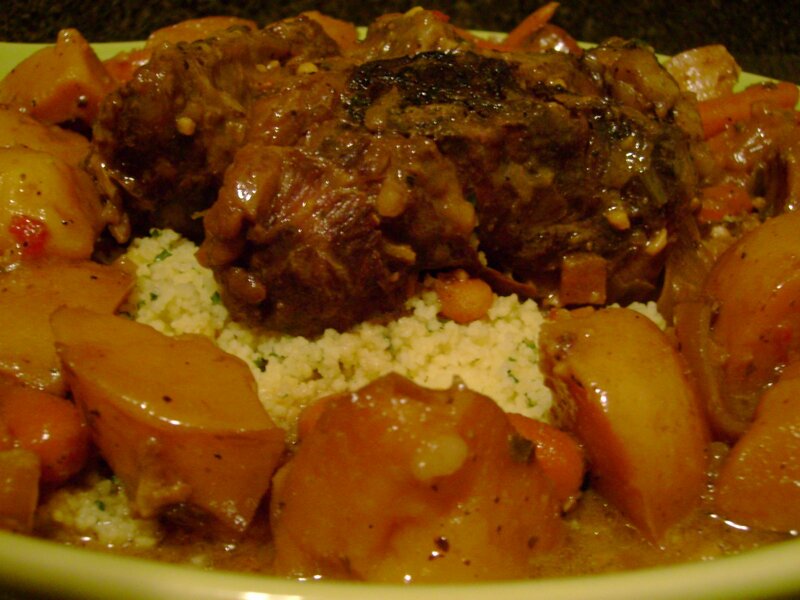 Pot roast is often served with carrots and/or potatoes simmered in the cooking liquid. Season steak with black pepper and brown in pan (optional). In the bottom of crockpot, layer carrots, potatoes and onions. Place seasoned or browned steak on top of vegetables. In separate bowl, combine soup mix, dressing and water. in chicken broth and chopped parsley. Cranberry sauce is not just for Thanksgiving. In fact, I used a jar of whole cranberry relish to make pulled pork tonight. With the leftover mac & cheese I still had from the other day, I stretched the remaining cheesy goodness to make fried mac & cheese nuggets. The cranberry is one of only a handful of fruits native to North America. As documented by the Pilgrims, cranberries were found in abundance in Massachusetts in 1620 and rumor has it that they may have been served at the first Thanksgiving dinner, although we have no way of knowing for sure. Written recipes using cranberries date back to the 1700s and the first recorded cranberry crop in history dates back to 1816 in Dennis, Massachusetts on Cape Cod. Cranberries soon cemented their place in New England life by serving as a vital source of vitamin C for whalers and a valuable natural resource to residents. Season pork ribs with salt & pepper. 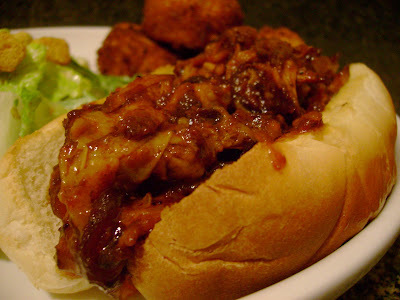 Place ribs in crockpot; top with onions. Combine remaining ingredients and pour over pork. Cover and cook on low for 6-8 hours, or high for 4-6 hours. 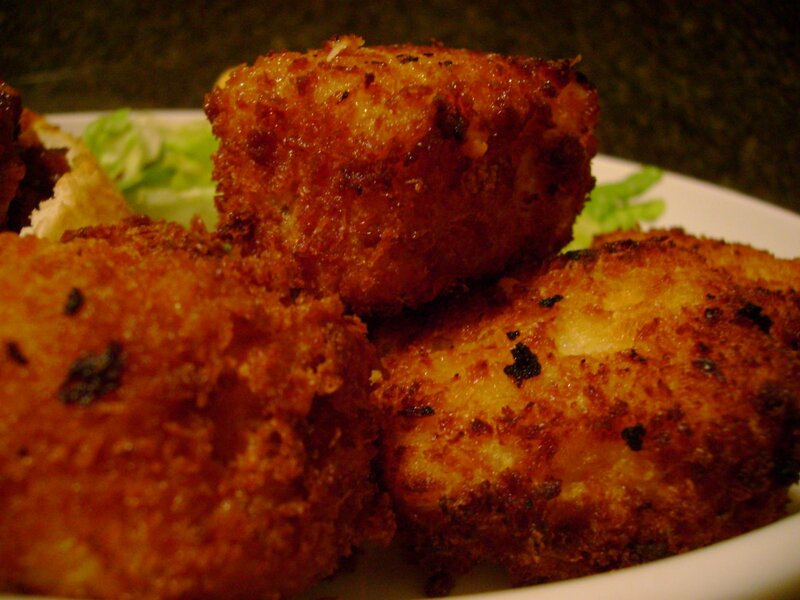 fried mac & cheese nuggets. Cut chilled mac & cheese in cubes. Dredge cubes in flour to coat. Dip cubes in egg wash.
Fry up until golden brown.